The audit planning report for Cyan Enterprises has been asked by the audit partner of the firm along with the audit recommendations, the high risk management critical accounts and the audit procedure to be taken in respect of the same. Since the trial balance of the company which has been given for the year 2016 and 2017 is not balanced in terms of the debit and the credit totals, the difference can be assumed to be the suspense account and the same has not been considered in any of the preliminary analytical reviews as the nature of the same is not known[ CITATION Axe17 \l 1033 ]. The information and all the analysis including preliminary analytical review has been done on the basis of the trial balance for the given entity. The scope of the project report includes identifying the high risk critical accounts which require the audit attention, the audit assertions in respect of the same and what the audit procedures to be taken to gather sufficient and appropriate audit evidences to give opinion on financial statements[ CITATION Bum18 \l 1033 ]. The trial balance of the given entity Cyan enterprises has been shown below but since the previous year figures have been mentioned for full 12 months and the current year figures have been mentioned for just 9 months, the same have been annualised for review purposes. Materiality is one of the most critical and important aspects in the audit planning as it helps the auditor in understanding what all areas needs to be focused and what can be left behind. Materiality in simple words can be defined as something which has the ability to change the decision making of the end user. The audit partner of the firm has suggested the materiality to be taken as $15000 for the given entity but the same seems to be very high when the trial balance of company is assessed[ CITATION Dum17 \l 1033 ]. Accounting bodies over the world like those of IASB and AASB and the auditing firm like those of Big 4’s have suggested certain percentage to be used to determine materiality. Some of those are percentage of net profit, gross profit, sales, and equity or total assets. Using the same on given entity, the materiality should fall within the range of $1484 to $1993. With this range, many of other critical accounts would also fall under the ambit of audit like those of Depreciation, interest expenses, Repair and maintenance and the superannuation account[ CITATION Hem17 \l 1033 ]. 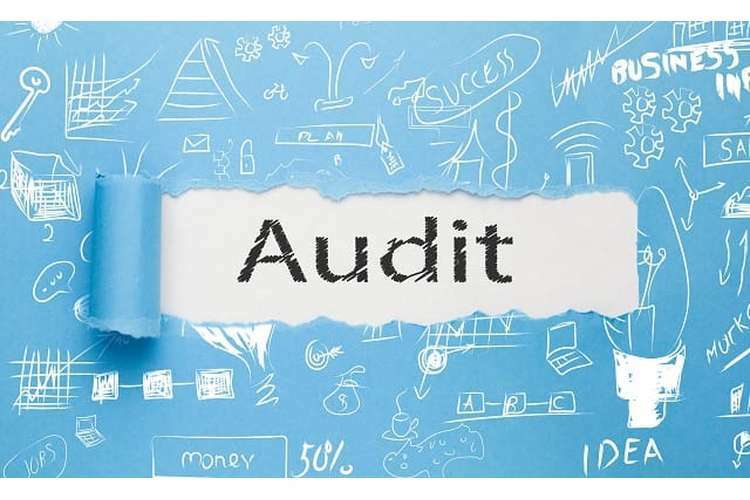 On the basis of the above analysis, some of the critical and significant accounts which need audit attention are mentioned below with the relevant assertions and the corresponding risks. For comparison sake, the accounts have been annualized and the variances have been measured. The sales has increased by 6% as compared to last year but it has been same in terms of the total receipts. Therefore, the management assertion is this respect as to whether all the sales has been recorded needs to be checked by the auditor. Also, the revenue recognition criteria needs to be checked[ CITATION Mar18 \l 1033 ]. The sales has increased by 6%, whereas the cost of sales has decreased by 4%. In terms of total receipts, the percentage of cost of sales has decreased from 26% to 23.7%. Therefore, it needs to be checked if the management has ensured the completeness in recording of the transaction and uniformity in the policies[ CITATION Fuk11 \l 1033 ]. This is one expenses which has by 71% as compared to the last year and in terms of percentage of total receipts, it has fallen by nearly 2% and therefore it needs to be checked requisite provisions have been taken in books and something that needs to be charged to P&L has not been capitalised. Where most of the expenses of the company have decreased, the depreciation expenses have increased by 5% as compared to the last year and it needs to be seen if the accounting estimates and the management judgements with respect to the fixed assets have changed[ CITATION HEr17 \l 1033 ]. Sales: For checking the sales, the vouching of the sample invoices must be done and the rates and prices mentioned in the system must be cross verified with the invoice prices. Also, the total of the sales invoices must be checked with the sales register to ensure completeness in recording. IN addition to all this, the revenue recognition criteria being used by the client needs to be verified and audited[ CITATION Biz17 \l 1033 ]. Cost of Sales: the cost of sales has dropped drastically and thus the vouching of sales invoices is warranted. Along with the same, it needs to be checked if the decrease in costs is due to increase in efficiency or the lowering down of raw material costs. The auditor should also be the market prices with the actual procurement price[ CITATION Vie17 \l 1033 ]. Repair and Maintenance: Since there is a huge decline in repair and maintenance expenses, first of all the auditor should be checking the accounting treatment as to whether these expenses are capitalised or charged to P&L. Also, it should be verified if the company has ensured completeness in booking of all the expenses and has followed accrual basis for taking requisite provisions in books[ CITATION Goo16 \l 1033 ]. Depreciation: Lastly the depreciation expenses also needs to be verified with respect to the accounting policies and judgements being used by the management. The auditor should check the method and rate of depreciation being used, the useful life assessment and whether the company has made and acquisition or disposal during the year[ CITATION Sit17 \l 1033 ]. The last step which has been asked by the audit partner is fraud risk analysis but he has recommended that the same need not be carried for the client in hand as Cyan Enterprises is a trustworthy client. But this contention of the audit partner is completely wrong and unjustified considering the principles of professional scepticism and the principles of ethics laid down in APES 110[ CITATION Fay17 \l 1033 ]. It is a well-established fact that all the clients need to be assessed for fraud risk analysis irrespective of the fact that whether or not they are trustworthy. There are some accounts which hints towards the possibility of fraud in the accounts like those of depreciation and the repair and maintenance accounts for the reasons which have been explained above. In addition, the superannuation account also needs to check as it has decreased by 16% and therefore the employee register needs to be checked if there is a decline in the number of employees[ CITATION Kac18 \l 1033 ]. 2. Apart from the income statement analysis, the balance sheet analysis also needs to be done and the opening balances should be checked. 1. Axelsen, M., Green, P. & Ridley, G., 2017. Explaining the information systems auditor role in the public sector financial audit. International Journal of Accounting Information Systems, 24(1), pp. 15-31. 3.Bumgarner, N. & Vasarhelyi, M., 2018. Continuous auditing—a new view.. Continuous Auditing: Theory and Application, 20(1), pp. 7-51. 4. Dumay, J. & Baard, V., 2017. An introduction to interventionist research in accounting.. The Routledge Companion to Qualitative Accounting Research Methods, p. 265. 6. Fay, R. & Negangard, E., 2017. Manual journal entry testing : Data analytics and the risk of fraud. Journal of Accounting Education, Volume 38, pp. 37-49. 7. Fukukawa, H. & Mock, T., 2011. Audit risk assessments using belief versus probability. Auditing: A Journal of Practice & Theory, 30(1), pp. 75-99. 8. Gooley, J., 2016. Principles of Australian Contract Law. Australia: Lexis Nexis. 9. Heminway, J., 2017. Shareholder Wealth Maximization as a Function of Statutes, Decisional Law, and Organic Documents. SSRN, pp. 1-35. 10. Kachelmeier, S., Schmidt, J. & Valentine, K., 2018. The disclaimer effect of disclosing critical audit matters in the auditor’s report. SSRN, 2(1), pp. 1-39. 11. Marques, R. P. F., 2018. Continuous Assurance and the Use of Technology for Business Compliance. Encyclopedia of Information Technology, pp. 820-830. 13. Vieira, R., O’Dwyer, B. & Schneider, R., 2017. Aligning Strategy and Performance Management Systems. SAGE Journals, 30(1).